The University of Strathclyde, Faculty of Engineering is pleased to offer Dean’s Excellence Award to students of high academic ability for 2018 entry. The Dean’s Excellence Awards are open to all well-qualified applicants from India joining the one year full-time postgraduate MSc programmes in session 2018/19. 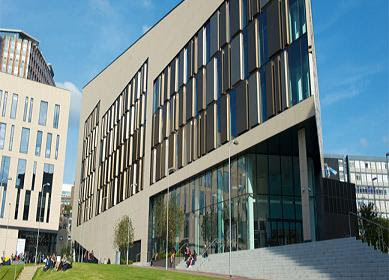 The University of Strathclyde is committed to providing a high-quality education and experience to all students, regardless of their background. Inspiring them to develop to their full potential, producing outstanding professional and enterprising people for the industry, business, and the professions. IELTS is the most widely available, and current standard requirements are IELTS (Academic): 6.5 overall (no individual band less than 5.5). Course Level: Scholarship is available to pursue postgraduate MSc taught programmes. Study Subject: Scholarship is awarded in the fields of Civil and environmental engineering, Mechanical and aerospace engineering. Scholarship Award: The value of each award is £4,000, and shall be contributed towards tuition fees. Eligible Countries: Indian students are eligible to apply for this scholarship. Applications are invited from well-qualified applicants from India joining any of the one-year full-time postgraduate MSc programmes in the Departments of Mechanical & Aerospace Engineering. English Language Requirements: University accepts a number of English language tests as proof of proficiency in English. IELTS is the most widely available, and current standard requirements are IELTS (Academic): 6.5 overall (no individual band less than 5.5).